Lately I’ve been getting so many questions about how I style my hair and requests for a blog review.. so guess what!? The post is finally here! It’s actually been quite a while since I’ve talked hair on the blog, so this was long overdue! Just a heads up, today’s post is quite long, but super helpful if you’re looking to invest in some hair tools! I’m doing an in-depth review on all the products I’ve been testing out, along with a roundup of questions I’ve gotten over the last couple of weeks! For starters, I use all T3 products to style my hair! Whether I’m just brushing it after the shower or curling it for an event, they are always in hand! I stand by my word when I say, “they are the best!” From their sleek design to their powerful capabilities, they always leaving my hair looking like I just left the salon! T3 is apart of my everyday routine and has completely changed the life of my hair! First, let’s talk brushes! My stylist once told me, “like makeup, brushes each have their own specific target area”. It made me think of brushes in a whole different way! So much of styling is created through your brush! For years I was using a basic paddle brush all day, ever day! Now, I’ve narrowed down each individual brush for it’s purpose, and use them for different looks I’m trying to create with my hair. Smooth Paddle Brush– If you’re looking for just 1 brush to use for everything, it’s definitely the traditional paddle brush! I tend to grab this and run it through my hair all the time (especially when it’s straight)! I like it because it’s got a big surface that smooths out the texture of your hair before you ever style it. 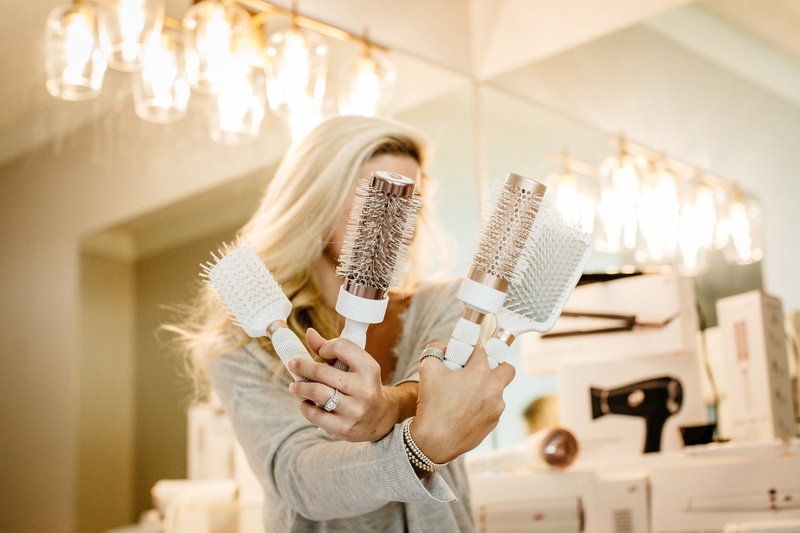 Vent Brush– This brush is best used when drying your hair! It’s made to let the air flow through the frame and bristles, allowing for a quicker, easier dry! If you have thick hair I suggest using this to help speed up the drying process. Volume 2.5 & Volume 2– These 2 are very similar! When it comes to volume and styling, these are your go to! Growing up and throughout college I always remember seeing my stylist use these brushes while she dried my hair. I would go home and try to use them, flipping and curling my hair around the brush, as I was blow drying. I never could get it down though.. My hair always ended up in a tangled mess. Last year I became determined to start using them because I was desperate for more volume. (Since my hair is very fine, I need all the help I can get…) Slowly I started working these brushes into my drying and styling routine! Now I use them when I know I’m blow drying hair, then curling it. 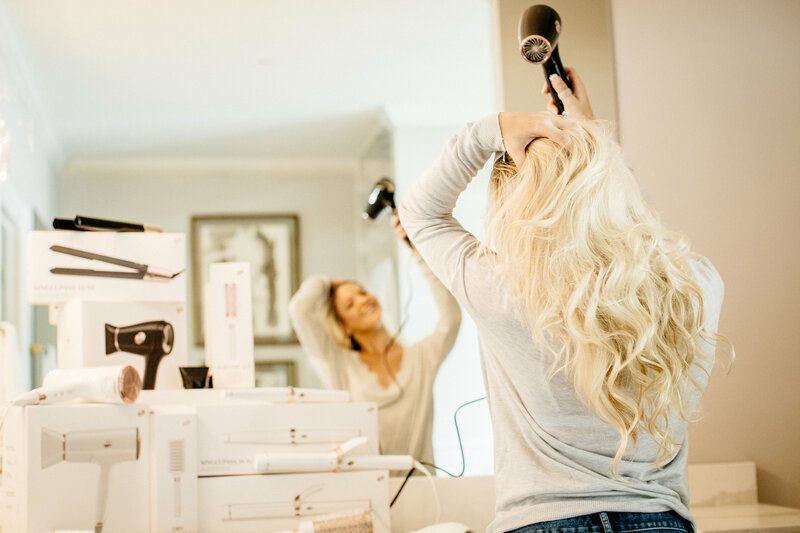 Cura Hair Dryer– This is my new every day hair dryer! I got it about 2 weeks ago and it’s all I use now! I love how quiet and light weight it is. It has 3 different heat settings, with 2 speeds to choose from. 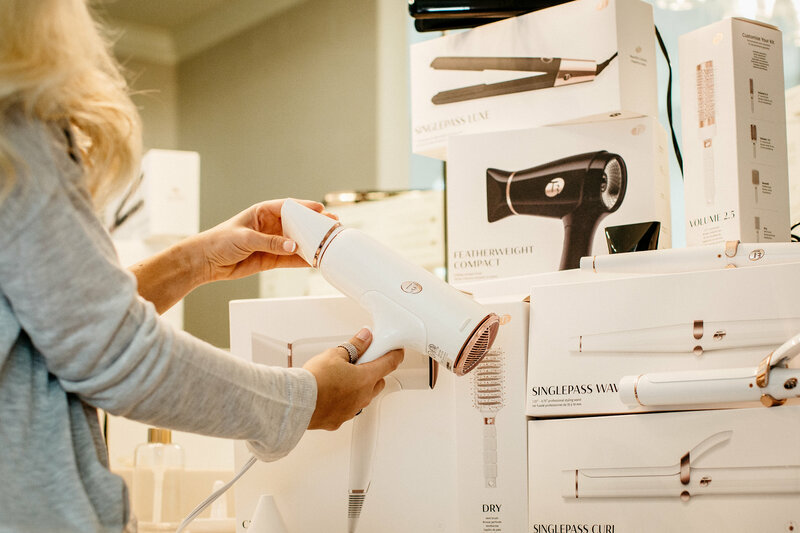 I’ve found that this dryer keeps my hair from frizzing and gets the job done quickly! 10/10 recommend! Featherweight Compact– This is my travel dryer! I normally like to take one with me when I go places because the hotel dryers are so slow and they frizz up my hair. With it’s sleek design, small frame, and folding handle, it’s super easy to throw in your carry on. This dryer has two speeds and two heat settings! For it’s size, it’s pretty awesome! 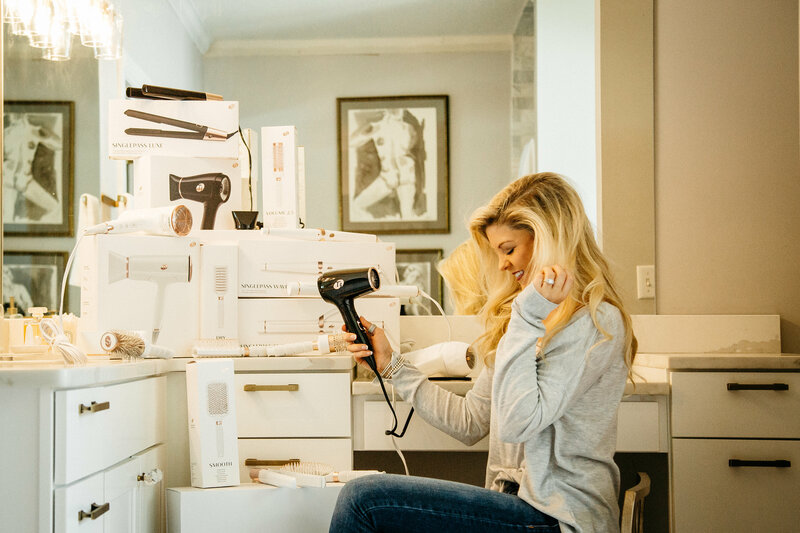 Featherweight Luxe 2i– Before I got the Cura and Featherweight compact, I used this dryer! 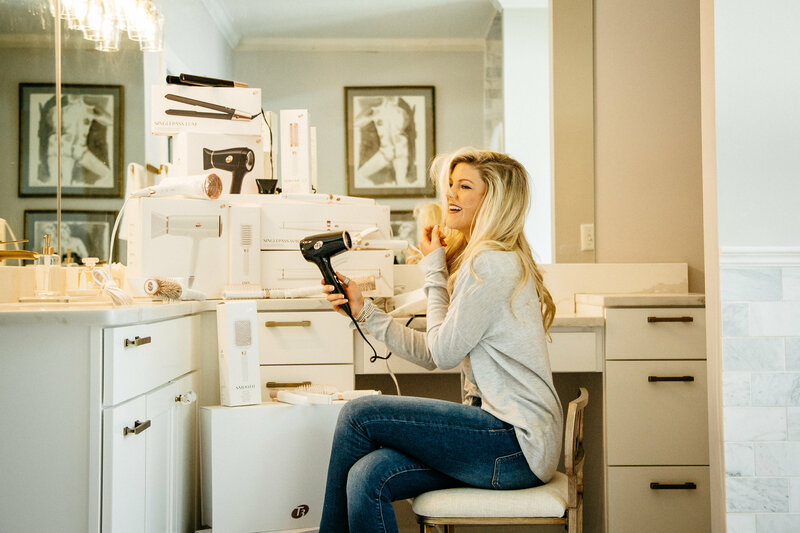 It’s another fast, easy dryer that smooths out the texture of my hair and reduces frizz! Curls!!! Whether you’re going for beach waves or tight curls, there’s definitely a T3 product to suite your need! For me, I like having one regular curling and one wand! 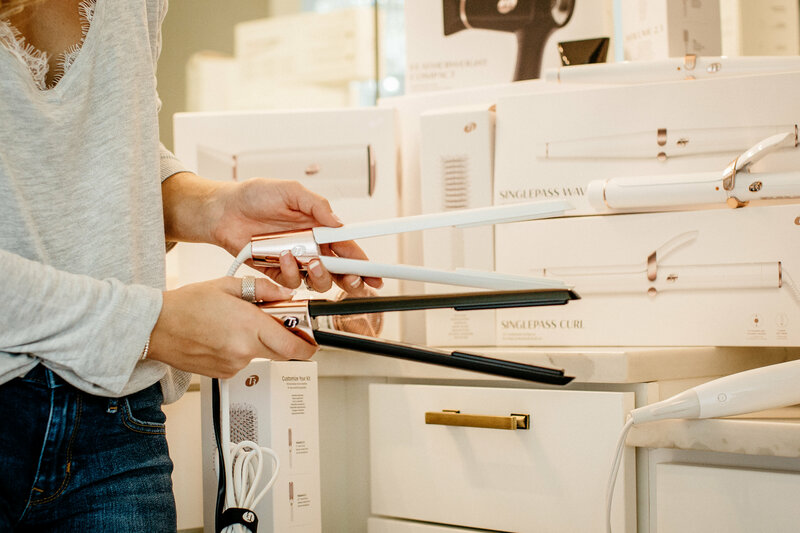 The wand creates smaller curls that tend to stay longer. The curling iron is better for loose curls that end up turning into sleek volume by the end of the day. 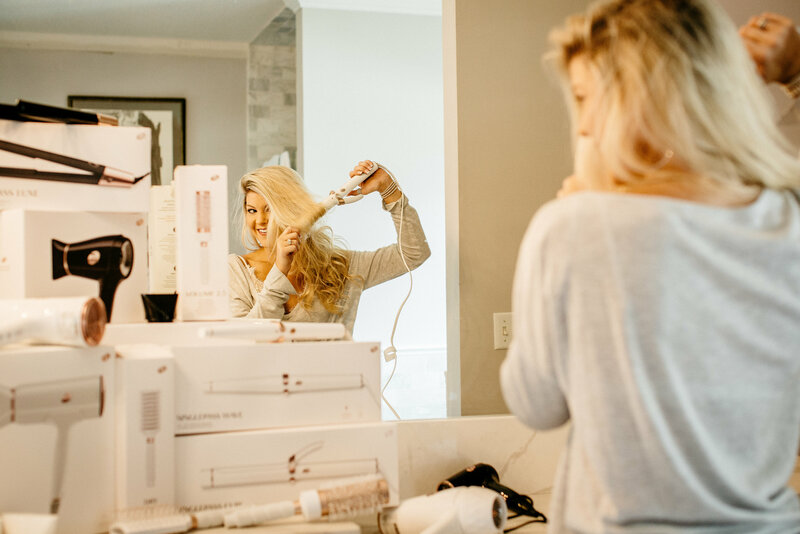 Singlepass Wave– This 5 heat setting, swivel cord, light weight wand is my new best friend! It’s what I use when I’m getting fancy and going all out on those waves/curls! The ceramic barrel keeps my hair tamed and gives it a shiny look! If you want texture and volume that last throughout the day, invest in this wand! It’s definitely a quick ‘curl and go’ product! 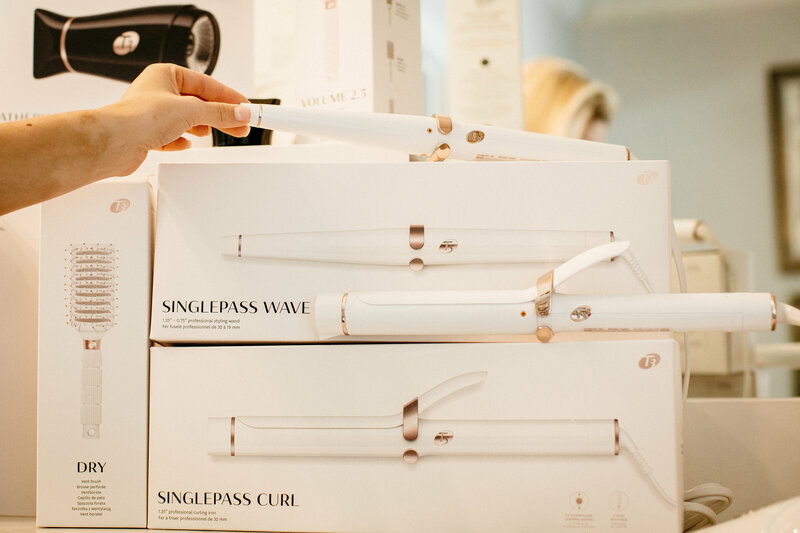 Singlepass Curl– I have a hard time with curling irons because my hair just doesn’t want to hold the curls when I use them. I think it’s maybe because the barrel is all one size. My hair is fine and thin, so if I have more dimension, it tends to hold up the curls better. However, this curling iron is so easy to hold and use, I like to run it over my hair and give it some body! If I load up the hair spray the curls usually stay! If I don’t they fall, but it still gives my hair the shape and volume it needs to not look so stringy. To be honest, I don’t use a straightener that often! I normally judge it by the weather.. If it looks rainy or humid I might swipe a couple passes over my hair. If I’m going out, I like to run the straightener over my front pieces so they don’t crease when I tuck them behind my ear! However, I only have great things to say about the Singlepass Luxe! If you straighten your hair, you need this! It’s got 5 different heat settings that let you really define how effective you want the tool to be! If my hair was curly, I would be using this everyday! ou mentioned you had super fine hair, what products do you recommend for styling? / How do you get your curls to hold up? The Powder Play is the best!!! What products do you recommend for hair growth? I went through a really bad hair phase Spring of 2017.. I couldn’t get my hair to grow, it was super thin, and I felt like it kept falling out. My friend recommended Keranique and it saved my hair! I still like to use the spray every other night! How often do you get your hair cut? / highlighted? I used to could stretch it for almost three months.. Now, I feel like my hair is growing faster and my roots are getting darker, so I go about every 6-8 weeks. I normally do a little trim every time to get rid of the dead ends. Will you ever cut your hair short? I’ve been thinking about a LOB? long bob? maybe one day! I have some ideas that I pinned if I’m ever feeling up to taking the risk! 5-7 times a week. It all just depends on what I have going on. I have super fine hair, so it tends to get oily quickly. I like to wash it everyday. However, on most days I let it air dry! This helps keep the heat off it and a little more healthy.